In 1984 and 1985 Wolfe wrote his first novel, The Bonfire of the Vanities, in serial form against a deadline of every two weeks for Rolling Stone magazine. It came out in book form in 1987. A story of the money-feverish 1980s in New York, The Bonfire of the Vanities was number one of the New York Times bestseller list for two months and remained on the list for more than a year, selling over 800,000 copies in hardcover. It also became the number-one bestselling paperback, with sales above two million. In 1989 Wolfe outraged the literacy community with an essay in Harper’s called “Stalking the Billion-footed Beast.” In it he argued that the only hope for the future of the American novel was a Zolaesque naturalism in which the novelist becomes the reporter-as he had done in writing The Bonfire of the Vanities, which was recognized as the essential novel of America in the 1980s. In October 2000 Wolfe published Hooking Up, a collection of fiction and non fiction concerning the turn of the new century, entitled Hooking Up. It included Ambush at Fort Bragg and, for the first time since their original publication in the Herald-Tribune, his famous essays on William Shawn and The New Yorker, “Tiny Mummies!” and “Lost in the Whichy Thickets.” His new novel I Am Charlotte Simmons, is now available in paperback from Picador. Sherman McCoy, the central figure of Tom Wolfe’s first novel, is a young investment banker with a fourteen-room apartment in Manhattan. When he is involved in a freak accident in the Bronx, prosecutors, politicians, the press, the police, the clergy, and assorted hustlers high and low close in on him, licking their chops and giving us a gargantuan helping of the human comedy of New York in the last years of the twentieth century, a city boiling over with racial and ethnic hostilities and burning with the itch to Grab It Now. Wolfe’s gallery ranges from Wall Street, where people in their thirties feel like small-fry if they’re not yet making a million per, to the real streets, where the aim is lower but the itch is just as virulent. We see this feverish landscape through the eyes of McCoy’s wife and his mistress; the young prosecutor for whom the McCoy case would be he answer to a prayer; the ne’er-do-well British journalist who needs such a case to save his career in America; the street-wise Irish lawyer who becomes McCoy’s only ally; and Reverend Bacon of Harlem, a master manipulator of public opinion. Above all, we see what happens when the criminal justice system-gorged with “the chow,” as the Bronx prosecutor calls the borough’s usual black and Latin felons-considers the prospect of being banded a prime cut like Sherman McCoy of Park Avenue. The Bonfire of the Vanities is a novel, but it is based on the same sort of detailed on-scene reporting as Wolfe’s great nonfiction bestsellers, The Right Stuff, Radical Chic & Mau-Mauing the Flak Catchers, and The Electric Kool-Aid Acid Test. And it is every bit as eye-opening in its achievements. 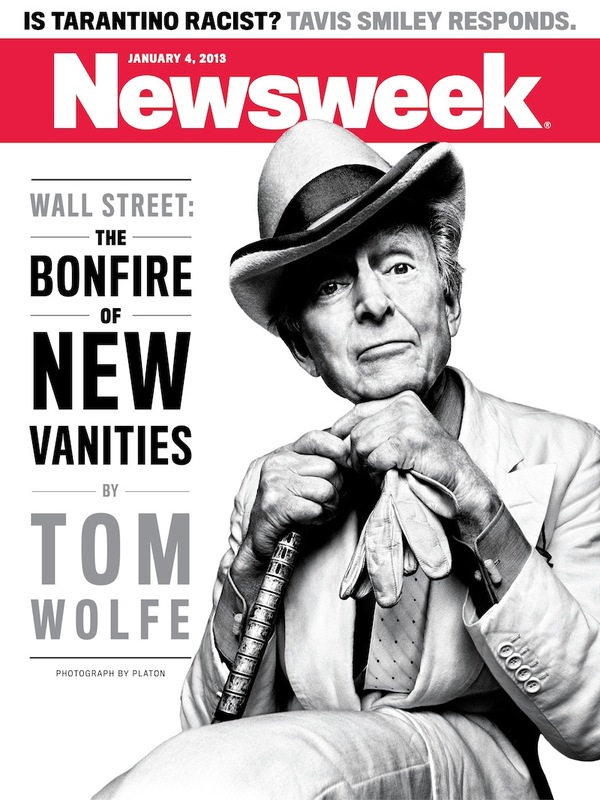 It is a big, panoramic story of the metropolis-the kind of fiction strangely absent from our literature in the second half of this century-that reinforces Tom Wolfe’s reputation as the foremost chronicler of the way we live in America.